National Agents Alliance is a place for success and growth. You can make your income as big as your dream. Become a licensed insurance agent with NAA and learn your true potential! The sky is the limit. National Agents Alliance is one of America's top insurance marketing organizations. NAA works with A-rated life insurance companies like Foresters, Mutual of Omaha, Fidelity and Columbian Financial Group. At NAA, we not only offer the best financial products on the market, but also provide unparalleled sales training for our agents. 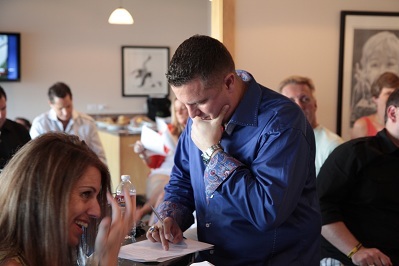 The sky is the limit at National Agents Alliance – our agents have the opportunity to build their own agencies and become financially free, an opportunity many only dream of. Agents are able to work their way up, with the freedom to become as successful as they want to be. Depending on sales, agents are able to work their way up, eventually becoming agency managers. Agents who work hard and succeed say that being an NAA agent is the best sales job out there! In addition to the great sales opportunities, NAA also has the best lead generation system in the industry, which means agents will always have qualified leads with real people seeking NAA's services. This helps make sure agents will make sales. All lead generation is done in house – NAA doesn’t buy leads from vendors, but generates them independently to guarantee that they are fresh and not sold to hundreds of other agents. You will receive leads with names of people who are interested in buying insurance, not just random people who have no idea why you are calling. NAA wants you to make sales, so we give you top-notch leads to make that happen! The opportunities are endless, but it’s up to you to take full advantage of them! At NAA, you choose your hours and your income – you have the power to determine your success! Whether you are looking for part-time or full-time work, National Agents Alliance has a place for you. In as little as one year, some agents have gone from scraping by to making more than $100,000. Your pay is determined by your dedication and your sales. The more sales you make, the more money you will earn. The more appointments you book and sales you close regularly, the more your income will increase. Likewise, if you book and close only a few appointments, not making many sales, you will not earn as much. Your dedication to making sales determines your success. Your hard work will pay off. The sky truly is the limit at National Agents Alliance. You have the opportunity to become financially free. As an NAA agent, you will be able to choose your own hours, allowing you the flexibility to spend more time with your family. With National Agents Alliance, you will have total control of your professional and personal life. If you're tired on mundane jobs that barely make ends meet, National Agents Alliance may be the place for you! Don’t limit yourself to a tiresome sales associate position at a retail store. Maybe you like interacting people and making sales. Take your experience with jobs in sales as a sales representative and use your skills to earn a higher income. Being an NAA agent is the best job in sales! At National Agents Alliance, we offer exceptional training for our agents, ensuring that agents will succeed if they follow our plan. No other company provides the immense amount of FREE sales training and opportunities to learn through association like we do. NAA also offers weekly training seminars, conventions, conference calls, webinars, and a live television show dedicated to training agents out in the field. These training opportunities teach methods for making sales, learning about clients and helping provide the best coverage possible for your clients. These are just some of the training opportunities offered for agents at National Agents Alliance. When agents have the 'company on their side and co-workers who want them to succeed, it’s hard to go wrong! The NAA community provides endless support, encouragement and leading by example for agents. NAA cares more about the character of the person they are hiring than the person’s past work experience. At NAA, no prior experience is necessary, because we can teach you everything you need to know here! From getting to know clients, products and services, to making sales consistently, NAA provides training for it all. Fill out the form below for immediate employment consideration. One of our agent mentors will be contacting you soon to discuss available positions and your interest.